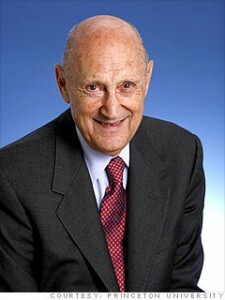 Burton Malkiel is a professor of economics at the Princeton University and a former dean of the Yale School of Management. Both are prestigious US universities. But first of all, he has been a firm believer and supported passive investing since it beginnings. Have a look at his top 5 books on investing. Martin Kollár pridal tento článok v kategórii Passive investing	on Friday, November 5th, 2010 at 07:10. Komentáre k tomuto článku môžete sledovať cez RSS. Môžete pridať komentár alebo trackback z Vašej stránky.